You can never go wrong with black and white in my opinion. And this outfit is feeling pretty autumnal now - I'm pretty glad it's getting a bit colder in England because autumn is definitely my favourite season! I just wore this simple textured top with my pom pom shorts, tights and boots. Then I added my spiky headband to add a little bit of interest to it - although this headband KILLS after a few hours of wear so let's see how long it lasts today! In other news, I've chopped my hair off again! I'm in a period where I love short hair on me so I had another few inches chopped off last week. 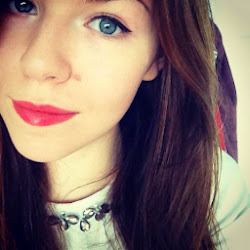 I've also had a bit more blonde put through it but I still want to go even lighter on my next few visits! What do you think of this outfit - and the weather we're having at the minute? 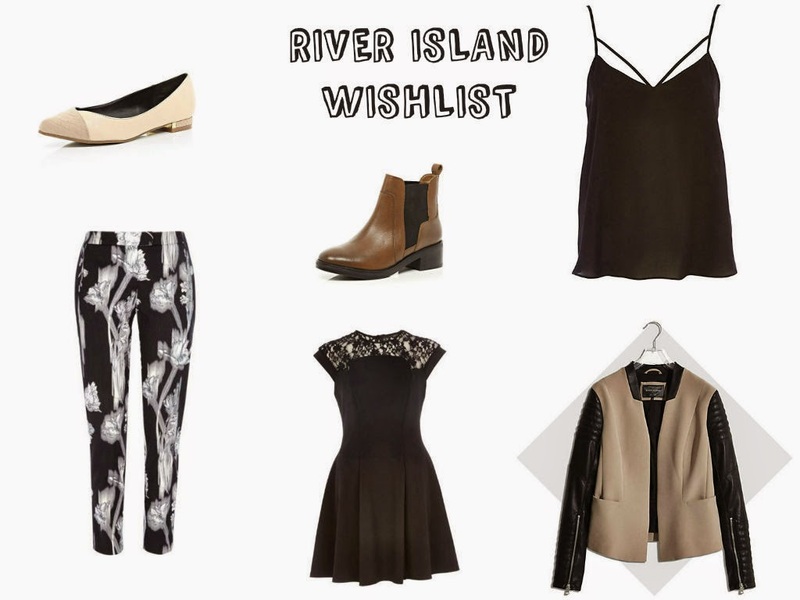 I'll be honest, I've never really been a fan of River Island. I always found them to be way too girly and over the top for me, but all that has changed in the past year or so. I actually find their clothes to be really lovely and right up my street nowadays - they seem to be much more minimalist and just my cup of tea. But sadly I'm on a mini spending ban at the minute (too many holidays, not enough shifts at work) so instead of buying clothes from RI, let's just wish about them..
How beautiful?! These light pink pumps have gold detailing on the tiny heel and mock-croc on the toe. Just so classic and easy to wear - although I'd have to see these in person because for £20, I'd hope they'd be really hard-wearing and well made! Oh, I've wanted one of these babies for so long - I've even gone into the store a few times to try one on and yet I've never got round to buying it! It's really lovely, made out of a quality material and just really easy to wear. I've also got my eye on the cream one - which is surprisingly not see through - which is good for us! Definitely a bit of a splurge, but I always think that you really pay for the quality in chelsea boots - especially ones that you'll be wearing for the whole of autumn/winter. These are just the classic style which I'm really loving at the moment. These are cigarette trousers - and I love the print of them - it isn't too in your face and would look lovely with a few of the other pieces I've picked out in this wishlist. I could actually create a beautiful outfit couldn't I! So yep - structured trousers which I think are great for the next few seasons. I'm not a big fan of skater dresses but this one really caught my eye - I just think it's really classy and easy to dress up or down. Just very pretty and my favourite dress from the site. And finally, my favourite piece from this wishlist: how beautiful is this jacket?! I've always loved two tone jackets and textured leather details, and I think this jacket is just so classy and understated. Must. Hold. Back. From. Online. Shopping. What's your favourite piece from this wishlist? Do you like RI?